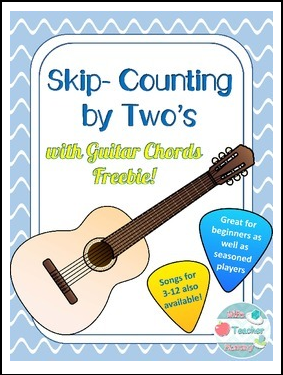 This is a skip counting song that will help your students remember how to count by two's! It is to the tune of "Yankee Doodle". This includes a teacher version with guitar chords and a student page with just the lyrics. I would also appreciate if you would leave a rating and feedback below, as well as follow my store so I can let you know about future freebies!